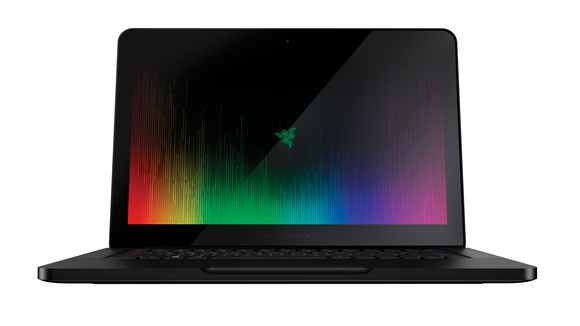 If you saw our review of the Razer Blade Stealth earlier this week and thought you’d abdicated to an alternate dimension where the black-and-green gaming mavens at Razer no longer made gaming hardware, fear not: The 14-inch Razer Blade (no surname) still exists, and it’s getting an update for 2016. For the most part it’s the usual incremental hardware advances. Last year’s i7-4720HQ is now an i7-6700HQ. SATA M.2 drives have given way to speedier PCIe drives. The old Intel wireless card has been replaced with a Killer Wireless card. The Nvidia GeForce 970M graphics chip is…still a 970M, though now with 6GB of onboard VRAM. And Razer’s sticking with the same 16GB of RAM configuration introduced last year, but now it’s using DDR4 memory. The other changes are pretty predictable, too. 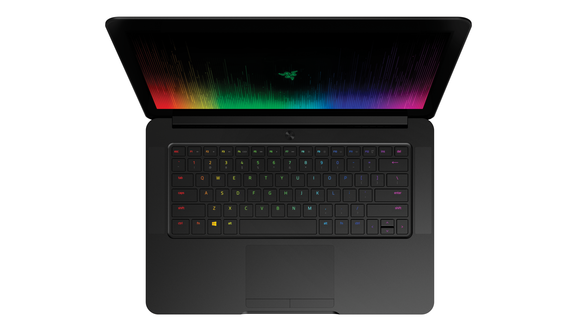 The new and improved Razer Blade sports per-key Chroma (RGB) lighting, and if you didn’t see that one coming then you’re probably too blind to appreciate those 16.8 million colors anyway. As always, the usual disclaimer: Is RGB lighting necessary? No. Do people love it? Some do! Do people buy it? Yes. The Blade will also charge by way of USB-C, the same as the Blade Stealth. And following logically from that, it will be compatible with Razer’s new Thunderbolt 3 graphics amplifier, the Razer Core, whenever it’s released. Pair the two and you could run apowerful desktop graphics card at home for enhancing gaming performance and still have the decently robust 970M as a fallback on the road. But this is all secondary to what is—without doubt—the most important change to the Blade in 2016: Price. The new Blade will start at $1,999 with a 256GB SSD, or $2,199 for a model with a 512GB drive. Last year’s models listed for $2,399 and $2,699, respectively. Shaving off $400 doesn’t exactly make the Blade affordable, but it’s definitely more in line with what I’d expect for a 970M/4K screen/aluminum chassis. In other words, the Blade is still a damn luxurious gaming laptop. Slightly better specs and a cheaper price? Sounds like 2016’s update is an all-around improvement. Orders start today and ship in April. We’ll hopefully have a corresponding review soon. Until then, stay tuned to PCWorld for more news out of this week’s Game Developers Conference.